What can I say? No words are needed. See ya later. Or, feel free to post some yourself. No rules, just have fun. 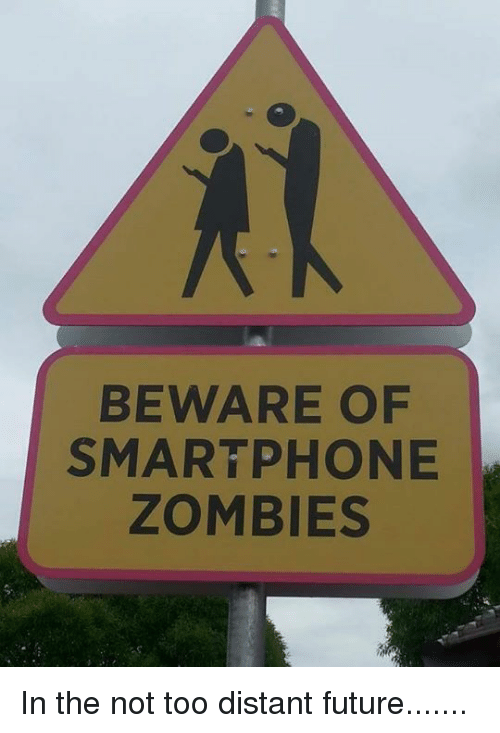 A sidewalk lane for cell phone users! Really sad! 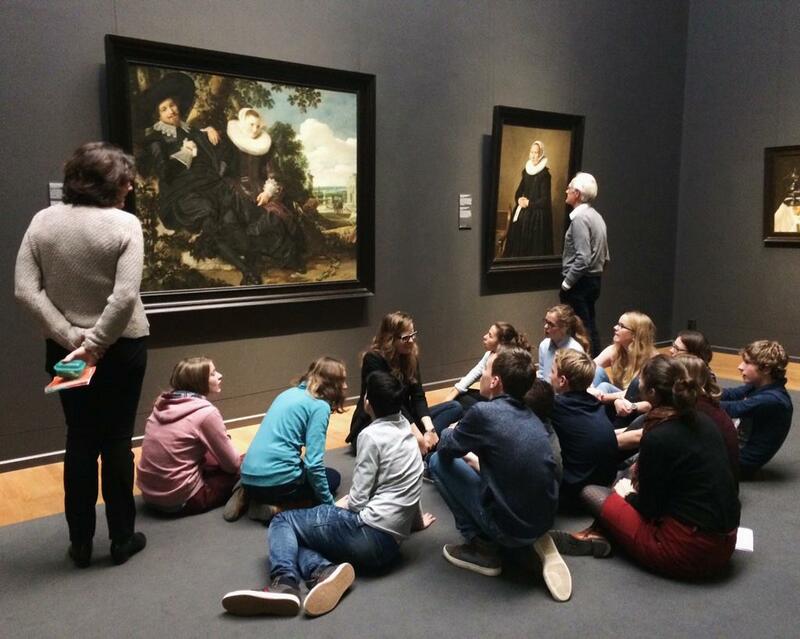 Here is another picture of the same group of kids looking at a different painting. No phones in sight. So, maybe they were checking out a tour app in the first photo? Here is a fake photo of the painting ignoring the kids-as-painting. One of my favorites. At a public function...but would rather film it with their phones instead of watching it as it happens! Except for the older lady in front. I had a similar situation myself not too long ago. I was taking a video of fireworks I saw and after a short while I realized I was watching them on teh screen o my phone (to keep them in frame) and not the actual firework! I quickly stopped filming (I had enough footage) and reverted to watching it live. Taking a video has its advantages though, as we can relive that moment on our TV (ideally) at home and don't have to rely on our brain to provide good replay footage. 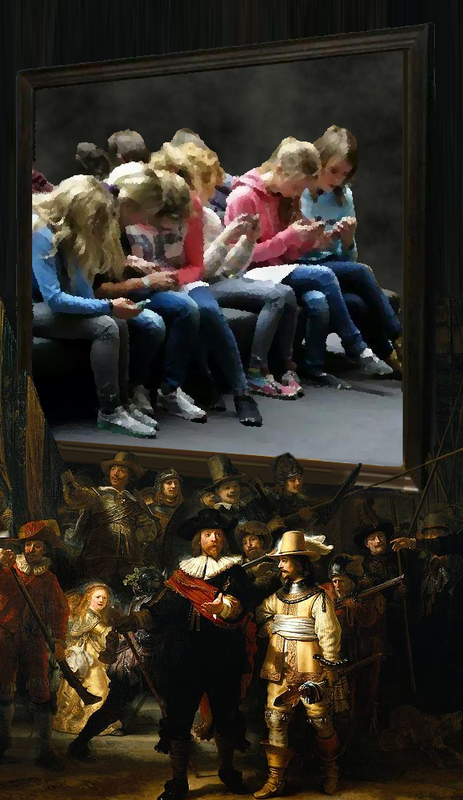 BTW, the image of the kids could be showing the kids using the museums app to look at more information about the painting behind them... We can't be sure. One of my favorites. This looks like a school assembly. You would have gotten their attention if you stream the content to their phones. This cannot be real! Where is this? EDIT: Looks like this post was hit with the DST bug. I won't be surprised to start seeing these. 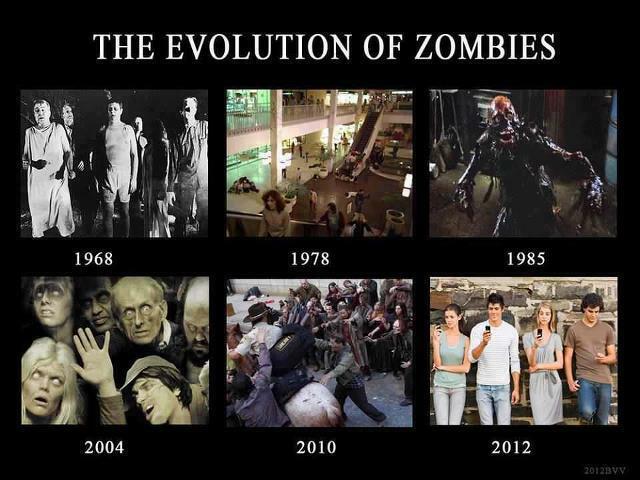 The cellphone addiction is depicted nicely in this 2013 viral video that got 50 million views. The lady in the first shot made this video, which shows that everywhere she goes, she sees people who are stuck to their little screens.